Being creative with the videos can be challenging. Nowadays when video trend is getting great attention, adding animated text to it can give it a more captivating touch. Currently, there is an excessive inclination towards animated text in a video. Imagine the moving, rotating or reappearing text in a video along with variation in colors! All in all, an animated text in video will just like adding a feather in the cap thereby making your video more successful in terms of views count. Are you curious about how you can add animated text in video? Well! This post is just merely made for you. Read out this post and find how easy adding animated text in a video is with the help of FilmoraPro. Let us begin exploring! FilmoraPro as a text animator should be always in the priority when you wish to have an excellent video editor. 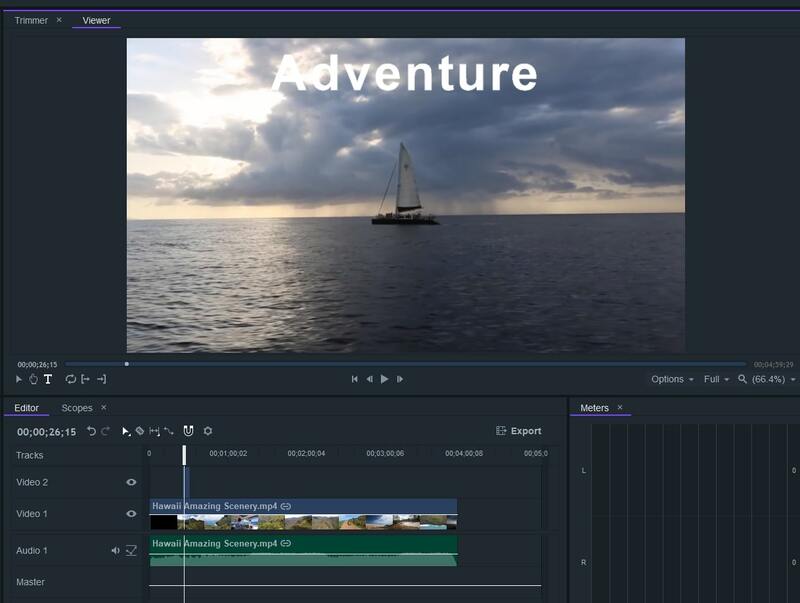 It is a professional video editing software that requires no specific technical knowledge of the users. Anyone can use it in a hassle-free manner. Use this tool to make your video magical with great animated text effects. Here is how you need to use this tool. Please carefully follow the steps mentioned below and you will realize how badly you needed such sort of a tool. Download it now to have a try (free)! First of all, you can visit the official website of FilmoraPro and download it from there. Once you’re done with downloading, proceed with the installation formalities. On completing installation, open FilmoraPro to get started. Hit on Create New Project from the main interface and you will reach to the screen where the editing to the project will take place. 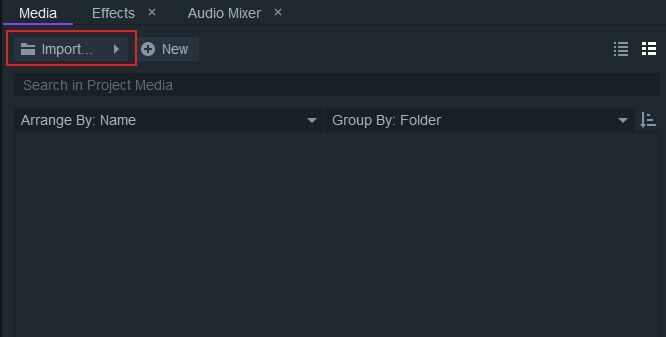 Look for the Import button from the left mid section and get your video file added. Drag the imported video to the timeline now. Play the video and pause it where you want to add the text. Go to the Viewer panel and from the click on the “T” i.e. text icon to add the text. Upon clicking, start writing the needed text anywhere in the video. Once done, select the text and head to the Text panel. Here you can effortlessly make modifications with font size, font type, alignment etc. From the Regular drop-down list, you can choose the text to be bold, italic etc. Choose the icons on the left under Character tab to adjust the font size and style. You can also go to the Layout panel and adjust the alignment of the text. Begin with adding the animated text in video. Firstly, make sure to drag the playhead where your text is. 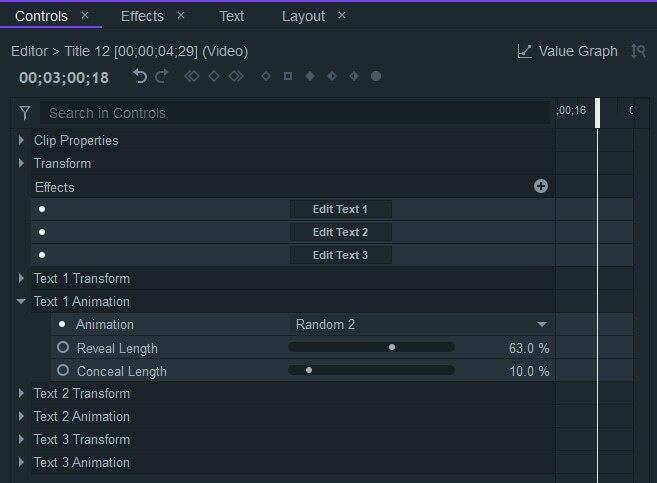 Under the “Controls” panel, tap “Transform” followed by hitting the tiny circle beside the “Scale” tab, this will enable the keyframe at this point of time in the clip. Using Scale, you can increase/decrease the text size. Set the scale for initial text first according to the needs, let’s say 100%. Now by sliding the playhead available in the Controls section to the final place where the animated text is to be stopped. Set the required scale again for instance 200%. 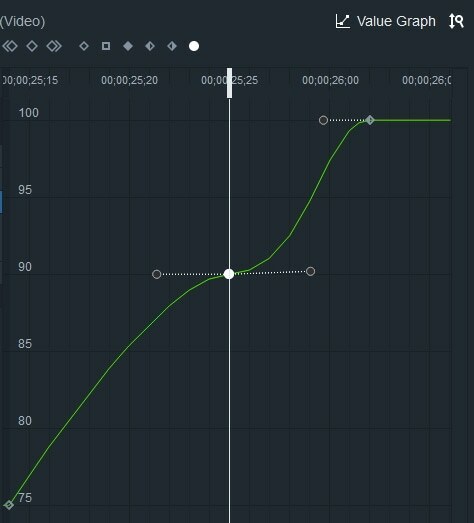 Go to value graph to make animation smooth. In order to center the animated text in the video, go to the “Layout” tab. Align the text to the center by clicking the “center alignment” icon. Opacity property enables you to fade in the text which is undoubtedly a creative thing to do. To do this, begin with dragging the playhead under the “Controls” section to the starting point of the text. 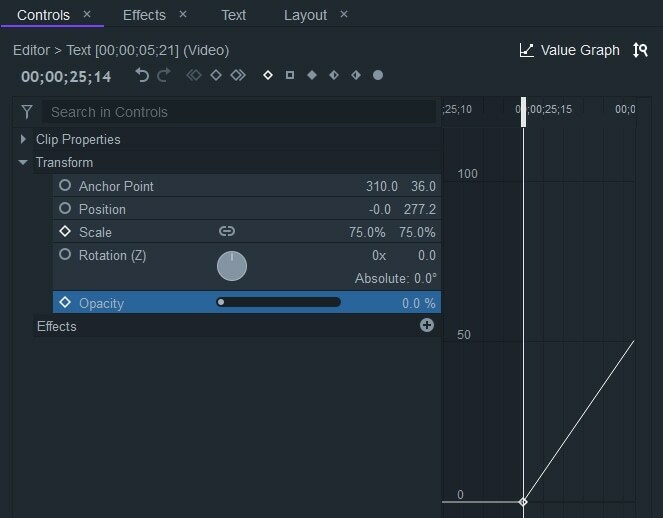 Click on the tiny circle next to “Opacity” option in order to enable the keyframe for this property. Now, set the opacity to 0. Again drag the playhead and stop it where you want to end the animated text. Here, keep the opacity to 100. Now preview the animation. With FilmoraPro, you can also have the opportunity to build professional titles for your animated text in a video with the help of available title templates. This will be a good option and really save your time. If you want to work with this functionality, you need to simply opt for “Text” tab. There on the top, look for the “Import Titles” tab. You will now receive a pop-up window. Here you get lots of title templates to work with. Pick out the one that you find suitable for your video and hit “Import”. Now, when it is imported below the video file, drag it to the timeline. 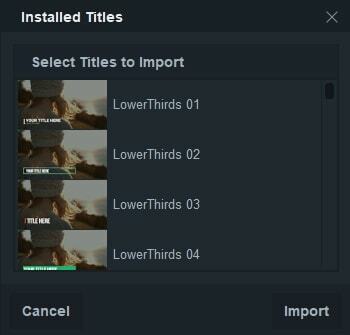 For editing the text of the title, simply head to the Controls panel again and work on the edit text boxes. Start adding the needed text for your video and preview the works. In addition, you can change the different line animations too. For instance, if you want to modify the main line or second/third line of the title, you can do this by selecting the “Text 1 Animation”/”Text 2 Animation”/”Text 3 Animation” as per the needs. To make enhancement in your creation is always a good idea and working on supplying with animated text in video can be considered as icing on the cake. Now, you don’t have to ponder over the tricks behind an animated text as we made you well-grounded on the topic. We hope that you will consider this post and will share it with the friends who demand to quench the desire of innovation with videos. Do post what you feel about this article in the comments section. Thanks folks!